Following Sainsbury’s Bank’s recent release of their pet owners guide ‘Preparing for a New Dog’, the company has now come out with one for all you (and me!) cat owners. Entitled, surprise surprise, Preparing for a New Cat, the guide features a bunch of useful info and tips for anyone thinking of introducing a furry feline into their home. 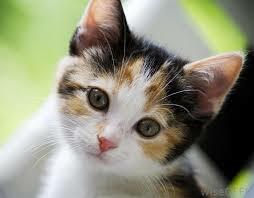 Worth checking out if you want some tips on how to ensure your cat is healthy and happy. Enjoy reading!